UK house label Danse Club Records is back with a track from the label bosses themselves. 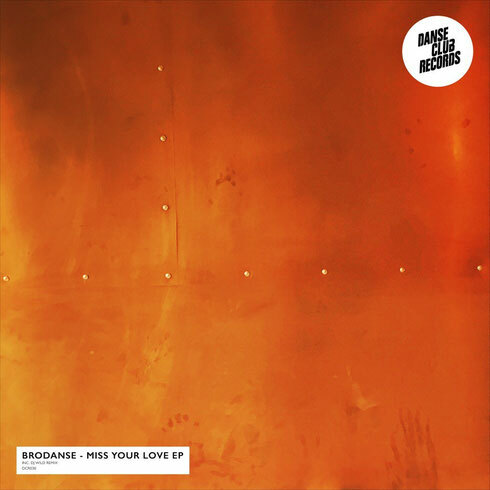 The brothers known as Brodanse serve up an original that comes backed with a remix from Cocoon and DC10’s DJ W!ld. Brodanse have established themselves and their label as a fresh modern house outfit that calls on respected producers of the day to conjure up some potentially genuine club heat. ‘Miss Your Love’ is a moody, deep house cut with static-like synth textures, cavernous beats and bass that really pulls you in. Key to it all is an absolutely killer vocal hook that finds a seductive female voice repeating the title’s refrain and should do well this summer. Remixing is DJ W!ld, the French DJ and producer with a tech house sound all his own. As well as running his own Catwash label, he has appeared on many other labels and as a DJ is best known for holding long extended sets at Ibiza’s DC10. Here he ups the ante with bigger drums, elastic bass notes and chilly hi hats. The vocals are re-sung by the man himself in a low and seductive tone that adds real character to this sterling reimagining.